We are supporting the First Minister’s National Advisory Council on Women and Girls (NACWG) in adding to the debate for this month’s Spotlight topic this month – Women and Girls in STEM. We asked some colleagues working to support the engagement of young people in the STEM subjects the “Spotlight Wee Circle” questions. 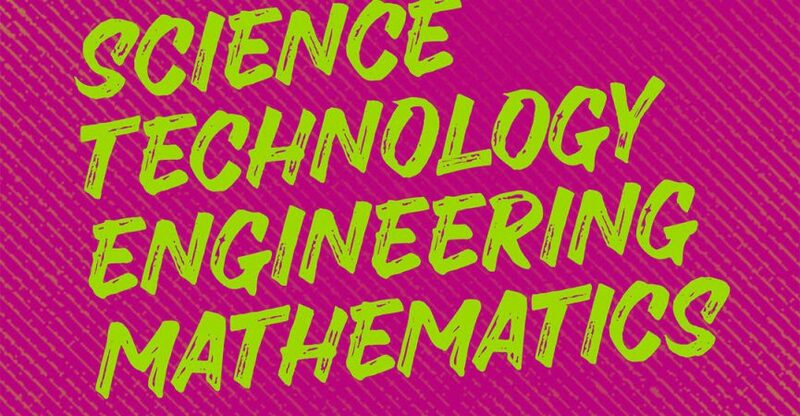 What needs to change, in Scotland, to improve opportunities for women and girls in STEM? What actions should NACWG recommend to improve gender equality in STEM, in Scotland? Early intervention programs in schools from primary age and upskilling secondary teaching to attract interest. What are the biggest equality issues, in Scotland, around women and girls in STEM? Exposure to prejudice and stereotyping from a young age, not making STEM subjects exciting or important. Telling girls that boys are better than them in these areas. The illusion and promotion of the ideas that Lego, construction toys and computer games are mainly for boys, other than the ‘pink houses’ and the dancing games. Not promoting women as quickly as men. Ignorance and ‘false science’ tales in the workplace e.g. women’s brains do not handle 3D software as well as men’s. Women are unable to handle the workload. Women are more prone to get stressed. Women can’t drive a tank or maintain it. Family encouragement and expectations – do they want their daughter to go into engineering? or physics, or be a pilot or aircraft engineer? Biological science might even be hard for a girl to argue her case. The mind-set of a teenager e.g. peer prejudice – 12-18 year olds are heavily influenced by their peers and ‘wanting to fit in’, who are heavily influenced by social media, TV etc. It’s a cycle of negative influences for both females and males. Lack of ambition in girls/women or maybe families being less encouraging of their wives, daughters. Men not liking it and not helping. Men falling into stereotypical roles even today. Make computing and IT as compulsory as maths and English in the curriculum, both primary and secondary modernise and upskill the computing teachers. We need the invention of a new toy which is gender neutral that appeals to the brain in these areas for 8-12 year olds. The secondary school curriculum – e.g. make subjects like ‘modern studies’ truly modern to reflect this area of need as well. Allow children flexibility in learning and stimulate/ promote technical areas in all classes. Promote and praise girls on their efforts. Some Men and their attitudes. Lobby for computing to be compulsory in schools from entry to leaving. A student-led curriculum in a limited area to promote the use of computer tech (as above). Work with 12-20-year-old females to decrease negativity in this area. Want to find out more? Get the details here.